Edison's STEAM Enrichment Committee is a place for parents with an enthusiasm for Science, Technology, Engineering, Art, and Mathematics (STEAM) to help our community foster a love of science (and applied sciences and arts)! From assisting Edison's educators with STEAM related supplies and activities, to hosting Weekend STEAM Workshops/Experiments out on the Edison blacktop, to participating in the Alameda Mini-Maker Faire, this committee seeks to engage our parents and kids with hands-on STEAM learning opportunities. 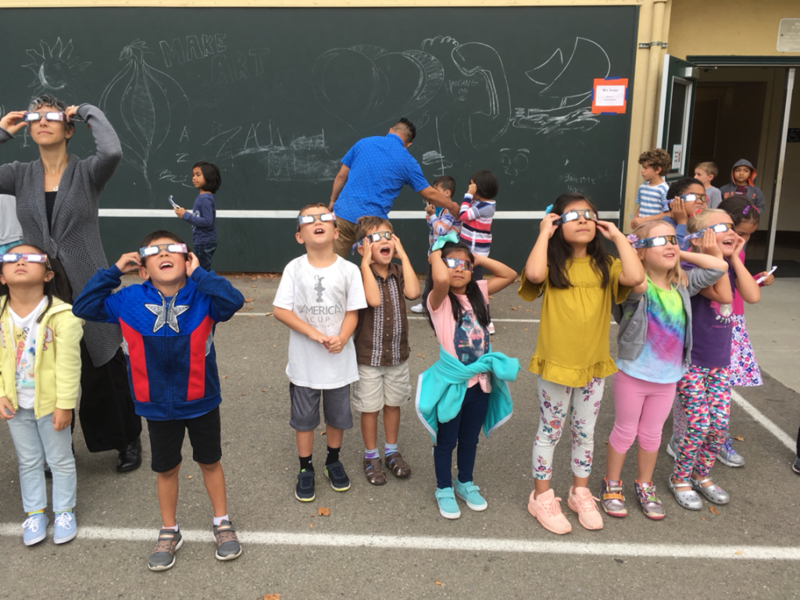 Students experience the 2017 Solar Eclipse on the First Day of School! 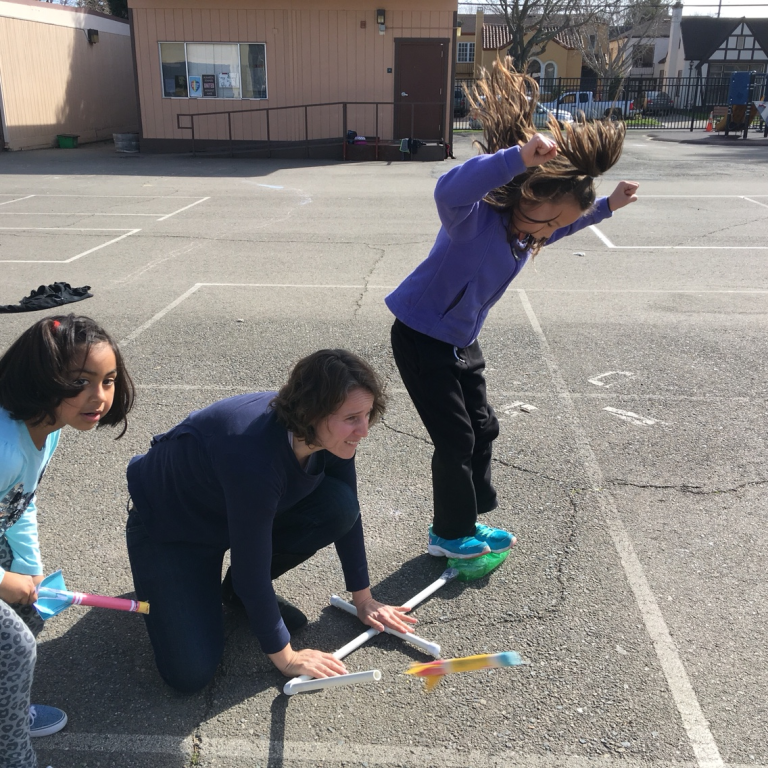 Parents provided a fun learning experience, helping students create - and test - their own stomp rockets!